Raised on a planet with pollution so thick the stars were not visible, Wash became a pilot in part to see the sky beyond his home. Wash was second in his class that graduated from the Academy in 2377. His skills as a pilot grew, and by the time Wash met Malcolm Reynolds, his reputation had grown to the point where he was actively courted by multiple captains in search of a good pilot (Mal tells Zoë that Wash has a list of recommendations "as long as [his] leg" when Zoë expresses her dislike of Wash). 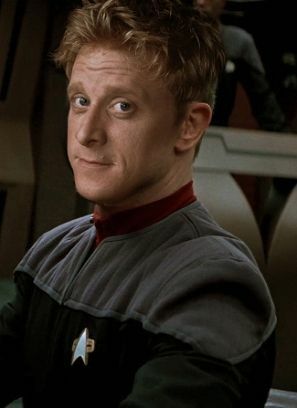 Wash accepted Mal's offer to serve on the USS Serenity, and in the course of time, fell in love with and eventually married Reynolds' second-in-command, Zoë. This pairing was especially ironic, given that Zoë's first impression of Wash was one of immediate dislike and distrust. The two had a passionate and strong relationship, despite Wash's occasional concern over Zoë's strong personality and her tendency to assume the more aggressive, traditionally male role in the marriage, a concern compounded by Zoë's fierce loyalty and devotion to Mal. A laid-back guy with a dry and occasionally laconic sense of humor, Wash tended to represent the pragmatic, cut-and-run opinion in any shipboard debate, and often served as the calming influence in heated arguments. His actions sometimes appeared cowardly (or at least less than heroic), but Wash had proven his resolve and willingness to both put himself in harm's way and do violence on behalf of his friends on many occasions. His loyalty to his fellow crew was unshakable, as is shown when he insisted on rescuing Mal from the clutches of the crime lord Adelai Niska, despite clashing with Mal over Zoë earlier and having been severely tortured by Niska to the point of barely being able to stand. As a pilot, Wash's flying style oscillated between near panic and a Zen-like calm. The attitude he conveyed seemed to be in inverse proportion to the degree of danger he believed he and the ship were in at any particular moment, acting the most calm when facing the greatest danger. His mantra, which he quietly recited during a highly stressful situation, was "I am a leaf on the wind; watch how I soar," although Wash apparently did not know what it meant. After almost two years on the Serenity Wash was promoted to Lieutenant junior grade and assigned to the Odyssey to be the Gamma Shift helm officer.